Sisters Flowers can take care of not only your flowers on your wedding day, but also for the rehearsal. Here are some of our snapshots of some recent rehearsal dinner table arrangements. This bride had a very formal and elegant wedding, but wanted a more casual “backyard barbecue” feel at her rehearsal dinner. We mixed some summery colors and flowers and tied on the red bandannas for an extra BBQ touch! 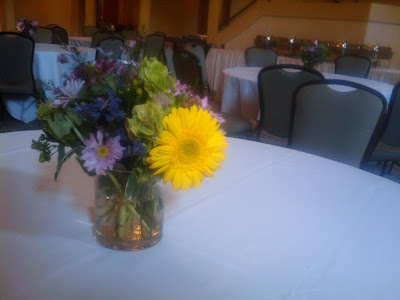 This rehearsal dinner decor was very summery as well. We mixed gerber daisies with other seasonal flowers for a gardeny look. 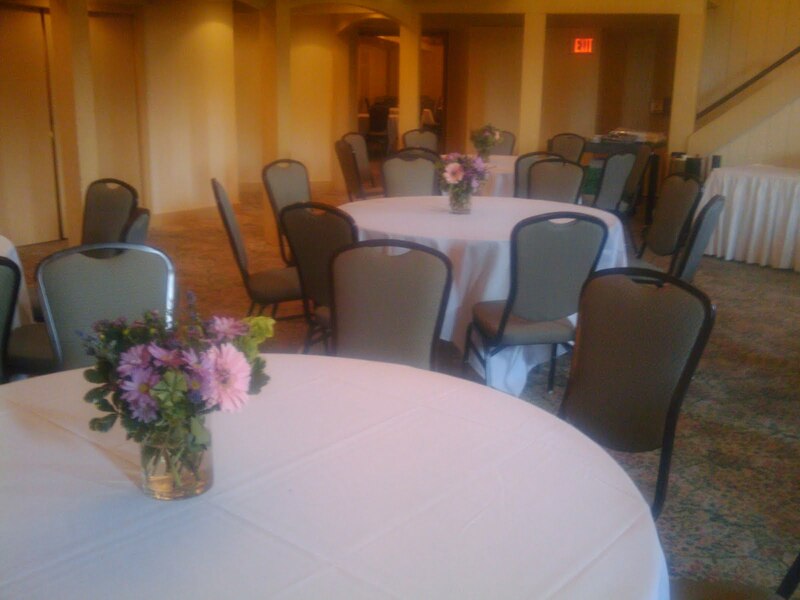 Your rehearsal dinner can compliment your wedding day decor or it can have a completely different feel. You choose!